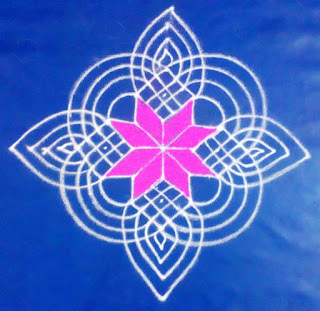 This is Friday padi kolam with dots 7 to 1 by learn kolam. Pl. watch the video & try this one. very nice designs. 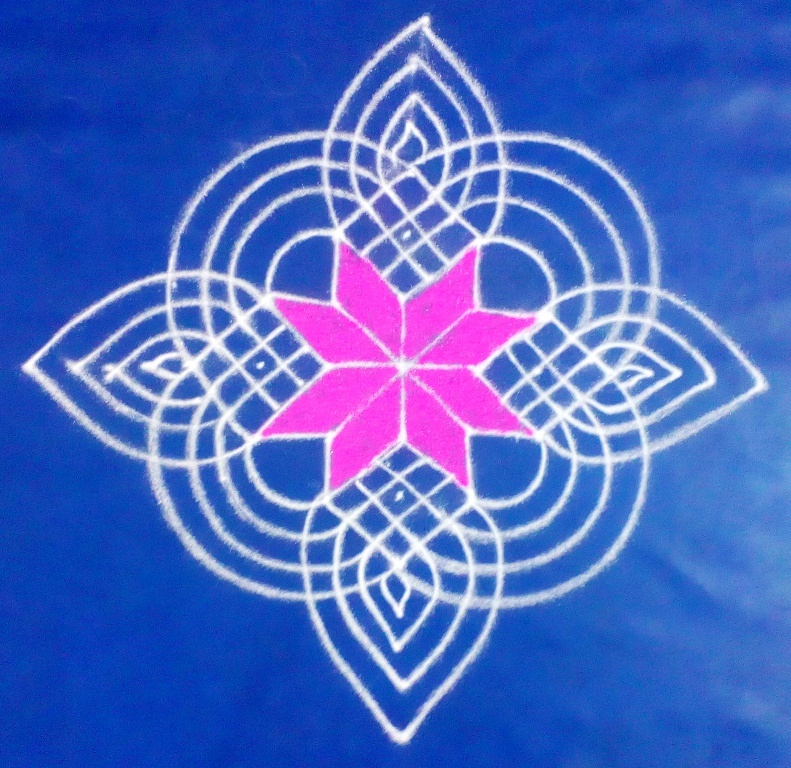 I used to draw these Kolam designs during the festival of Diwali in Goddess Lakshmi and also chant hindu slokas and mantras for her to receive her blessings.